For the second time in two weeks, the Bills and Sabres will have eclipsing broadcasts. The difference this time, is that the Sabres will play at home. An unofficial One Buffalo fire sale is in full effect right now on secondary market ticketing sites like StubHub, Seat Geek and Ticket Exchange. With a finally healthy Buffalo Bills team set to face the now injury-ravaged undefeated boogeyman in the division—the New England Patriots—the never-dying flame of Bills fan’s hope is being heavily stoked. 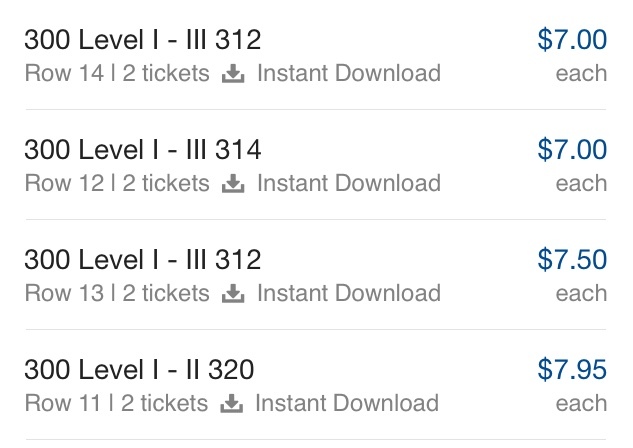 And those with tickets in hand for tonight’s tilt against the St. Louis Blues are dumping them en masse on the cheap. Scores of tickets are available for under $20. If one of the any number of disgusting things that the NFL has been associated with in the past five years as turned you off, tonight’s a good night to enjoy Buffalo’s other marginally good professional sports team in person.